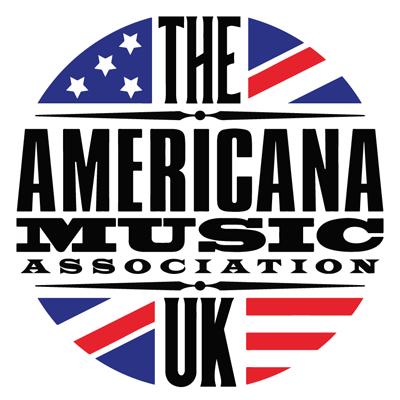 By joining the Americana Music Association UK you are supporting an organisation that gives a voice to a genre of music that otherwise would not be heard. We are a professional not-for-profit organisation whose mission is to promote Americana music in the UK. We work to increase the general awareness of our genre and community by raising the profile, creating opportunities and above all by connecting artists to appreciative audiences and to each other. We conduct an ongoing campaign via grassroots marketing, social media (Facebook, Instagram and Twitter) and word of mouth. We work throughout the year to bring members opportunities to showcase at festivals and find opportunities to be involved with events. We work closely with the Official Charts company to ensure all Americana releases that are eligible for the charts are included. When you join you become an active supporter of the music you love, with access to the members directory, nominating and voting privileges and an annual conference and awards event. We work tirelessly to ensure our members get the best out of joining AMA-UK. Only through your membership and financial support can we continue to do our work. Read what our members are saying about being a member here. For those who work in the industry as a performing artist, musician or songwriter. Access to the fully-searchable directory of over 800 members from around the world. Invitation to attend members’ events including our annual nomination launch. Attend AmericanaFest UK, conference, festival and awards - with a 15% discount off non-members pricing. Nominating and voting rights for our annual UK Americana Awards. For those who work professionally in the music industry including booking, management, PR, legal, radio, journalist, record label etc. For those who are music enthusiasts and fans who want to support the work we do for the artists you love. Opportunity to attend members events including our annual nomination launch. Attend AmericanaFest UK festival and Awards show, with a 15% discount off non-members pricing. For those who want to make a difference and enable the Americana Music Association UK continue with the work we do for the genre. Invitation to attend members events including our annual nomination press launch. Invitation to the VIP pre-Awards show press reception. Invitation to the Awards aftershow party.